One of our pastimes on this trip is locating and perusing the local food markets. Our eyes fill up with the beautiful colours and our stomachs growl as our noses tease them. Luckily, fruit vendors often offer tasty samples. This normally means we leave the markets with enough fruit to feed a family of eight. But the abundance of alien, knobbly exotic fruits and vegetables can at times be a little overwhelming. In many instances we buy what we know. So, we decided to get friendly with some of the tropical fruits that you won’t find in your local supermarket. Lars and I are now very well acquainted with the Maracuyá (passion fruit). Throughout Latin America, it is a popular choice of licuados and jugos due to its sweet, sour taste and floral scent. 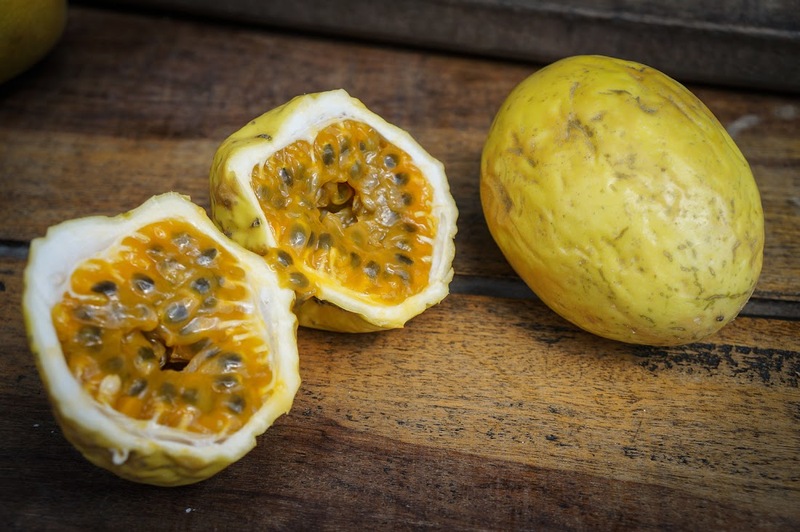 The granadilla is native to the Andes mountains and is sweeter than its buddy the Maracuyá. Much to our delight, It is fairly common to find it growing wild. 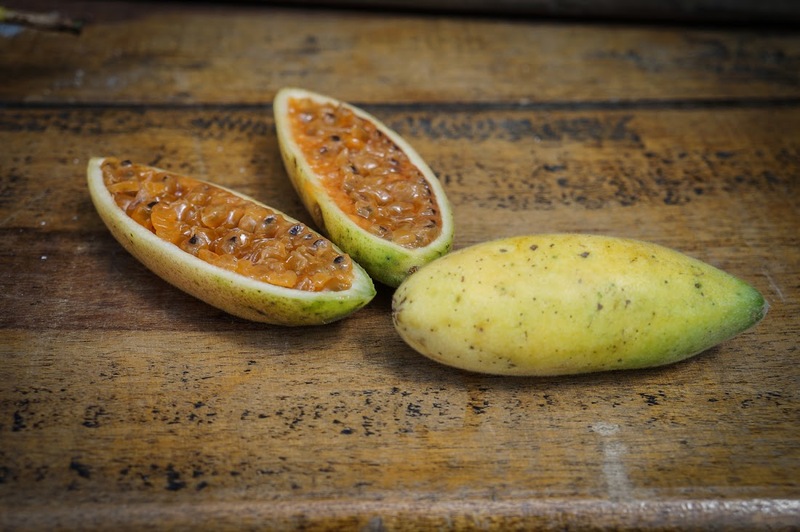 The Badea, or giant granadilla has the same gooey, fish egg-like pulp as the previous fruits on this list but has a more floral taste and scent. The meat around it is edible, and although it looks like the flesh of a melon, it has an unfortunately bland taste. 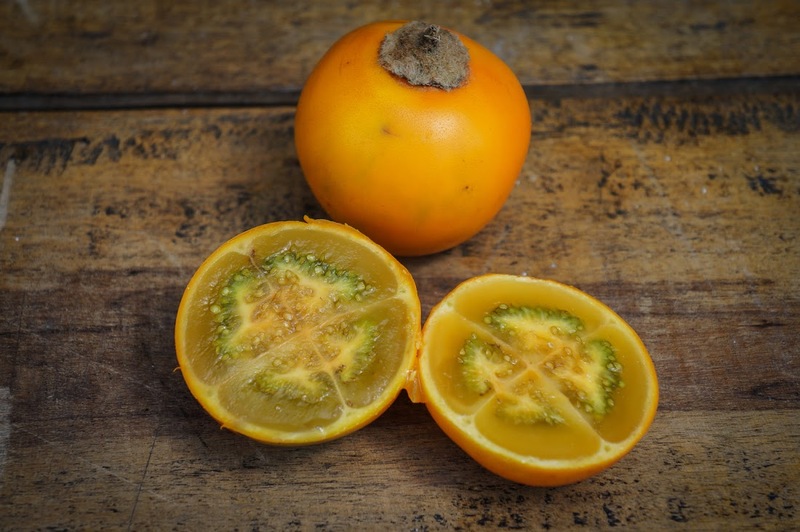 Known in Colombia as a Lulo or in Ecuador and Panama as a naranjilla, this tomato-like fruit is super tasty in a smoothie but time consuming to prepare due to skinning and de-seeding. The leaves and stems have tiny little hairs that can feel uncomfortable against your skin. It has a light, aromatic, citrus flavour. In my opinion it has the after taste of bubble gum. The pitaya is a funny looking fruit. We know it as a dragon fruit and in Asia are commonly pink. 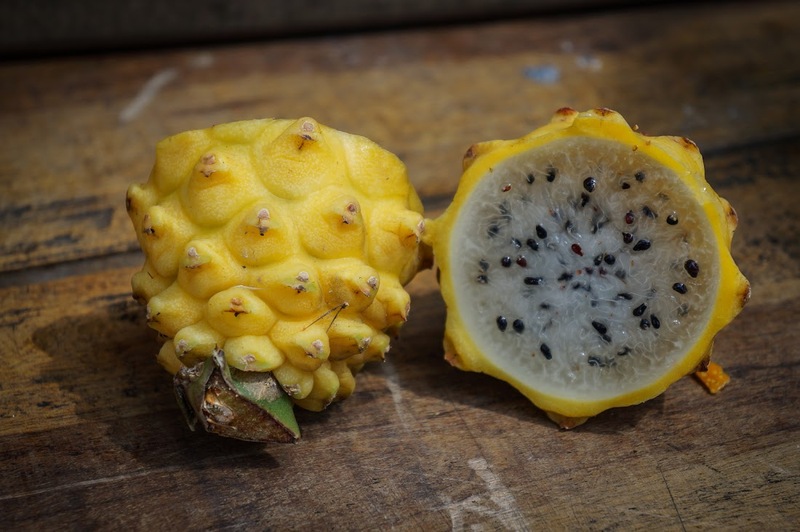 In the Americas you can find pink Pitaya as well as the yellow, more citrus fresh ones like the picture below. They taste heavenly! sweet and refreshing. 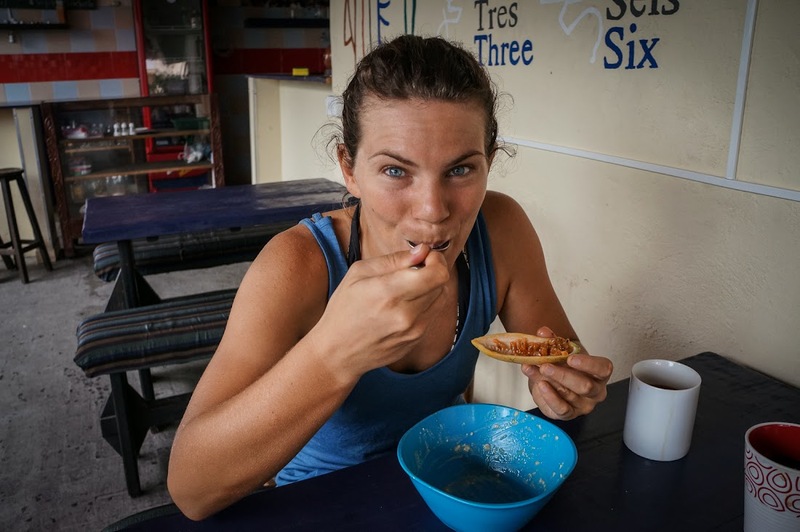 Eat the middle jelly-like substance with a spoon. A common fruit found throughout the tropics. 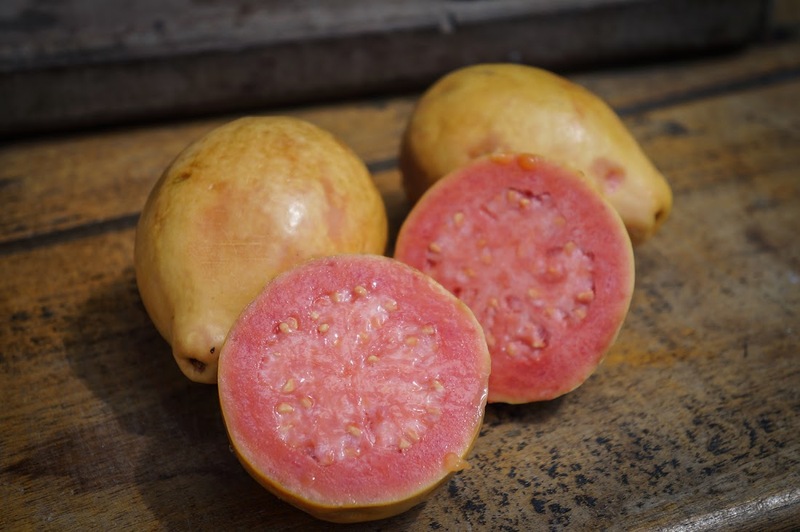 The guayaba or guava as it is commonly known, is a delicious berry-like pear. it is very popular in juices, fruit salads and especially made into jams and sweets throughout Central and South America. 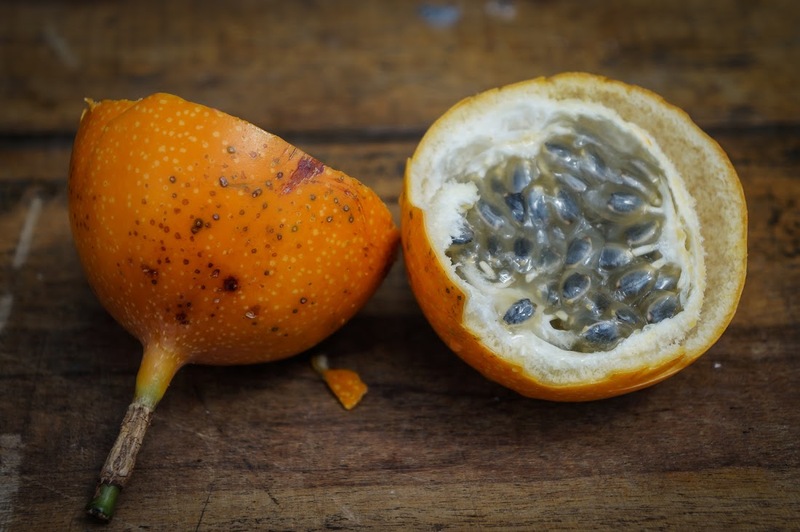 The Curuba or banana passion fruit is laden with the familiar seedy pulp in all the passion flower/ vine species. If you like bitter, strong, tart, citrus flavours then give the curuba a try. In our opinion it doesn’t rank nearly as high as its family members. 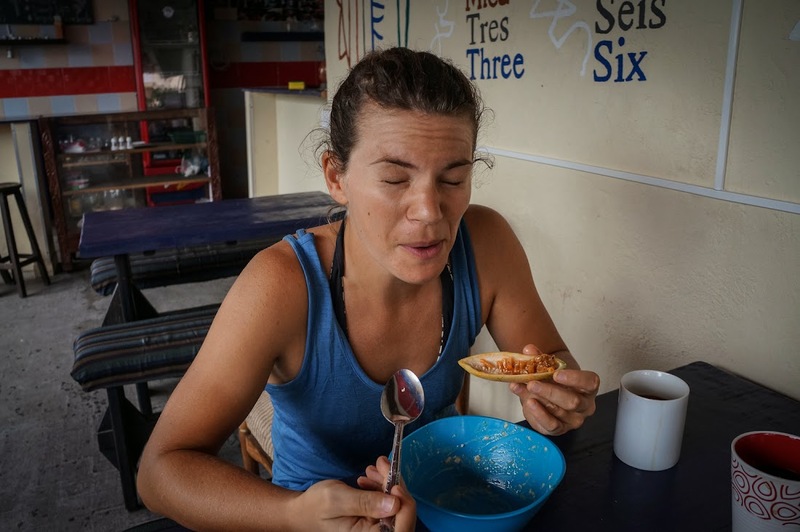 … often resulting in this face. 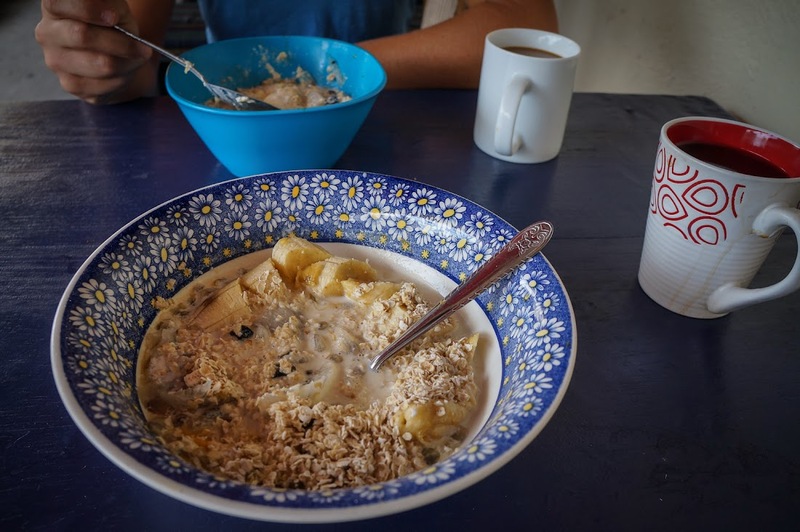 We refer to this concoction simply as “The Breakfast” – it plain oats, raisins, milk and whatever tropical fruits we can get our hands on that day! 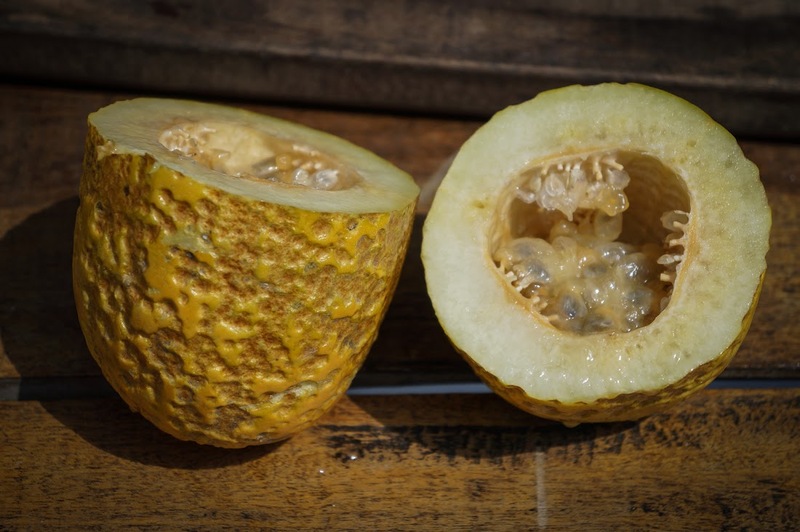 For a more comprehensive guide to tropical fruits in South America check out this epic article on SeriousEats.com. One Response to "Getting Friendly With Tropical Fruits"